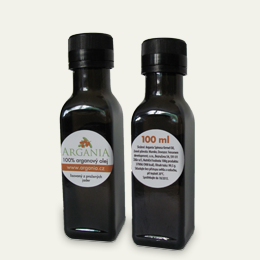 100% pure, natural, cold pressed, extra virgin Argan oil. Available in tinted glass bottles for maximum protection of active substances contained in the oil. Atomizer included. Natural soap with Argan oil. The oil contains a large amount of vitamins and substances beneficial for your skin, read the section For skin. 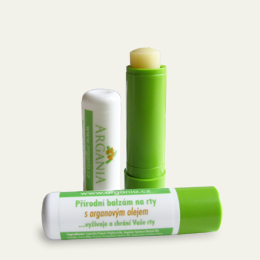 Natural lip balm with argan oil . Balm is prepared from the finest natural ingredients, fragrances, dyes and flavors free. Contains Argan oil that nourishes and protects your lips. 100% pure, natural Argan oil pressed from roasted argan kernels giving it an intense nutty taste and flavor. 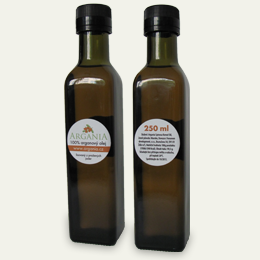 For more info about culinary Argan oil read the section Consumption. 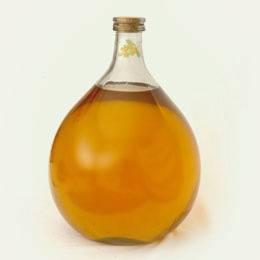 As direct importers from Morocco we also supply larger volumes of cosmetic and culinary Argan oil at wholesale prices. The oil comes from the community of berber women. It is certified (ECOCERT) product fulfilling the international standard of extra virgin oil quality. If interested, please contact us. 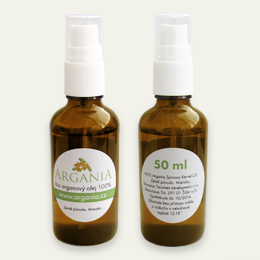 Argan oil can be used daily without any side effects. It is a 100% natural product that does not contain synthetic fragrances, preservatives or dyes. It does not cause allergic reactions and is suitable for all skin types, both adults and children. 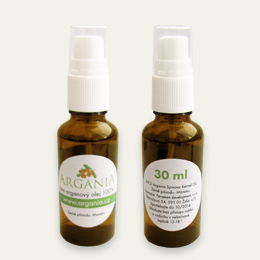 Although a possible allergic reaction to the Argan oil stay almost impossible, because it is 100% pure, natural organic product, try Argan oil on a small part of the skin first, to make sure that it will not cause you any adverse reaction. Talk to your doctor if you are using medications that might react with the oil.